Other working moms reached out with words of encouragement on social media. Working moms around the world felt the heartache of tennis legend Serena Williams, who revealed this weekend that she missed a milestone in her daughter's life because she was training. "She took her first steps," Williams wrote in a Twitter post on Saturday. "I was training and missed it. I cried." Williams, 36, welcomed her daughter, Alexis Olympia Ohanian Jr., into the world in September with her husband, Reddit co-founder Alexis Ohanian. The tennis champion told "GMA" what she thinks about the current seeding rules. New seeding rule takes maternity leaves into account. 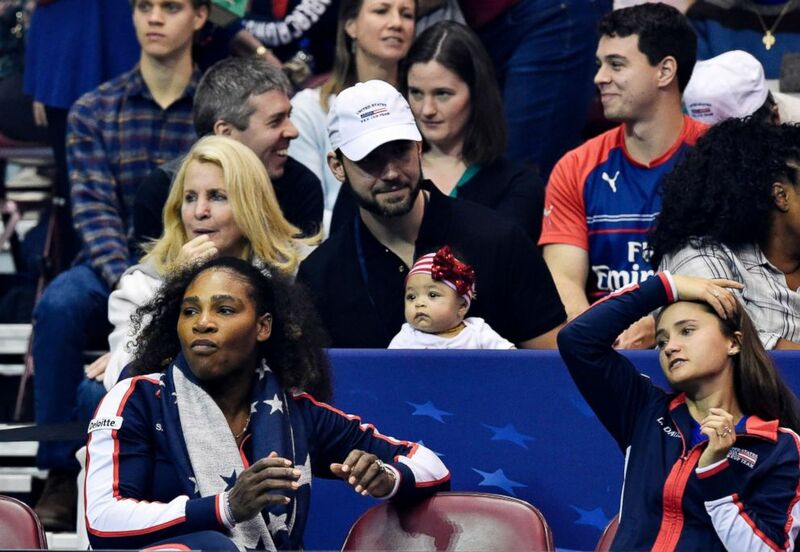 (Richard Shiro/Getty Images, FILE) Serena Williams, bottom left, along with her husband Alexis Ohanian and their daughter Alexis Olympia, center, watch the action during the first round of the 2018 Fed Cup at US Cellular Center, Feb. 10, 2018, in Asheville, N.C. Fellow moms rallied behind the tennis great on social media, tweeting expressions of encouragement to quell the feelings of "mommy guilt." Model, cookbook author and mom of two Chrissy Teigen responded to Williams' post on Twitter, writing, "she is practicing so you can see the real ones." she is practicing so you can see the real ones. ?? 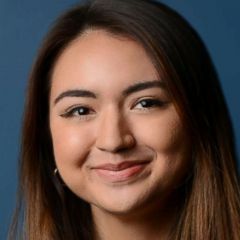 ESPN sports journalist Alison Bender also reached out to Williams to say, "I'm with you there," adding that "I watched mine take her first steps on a video." 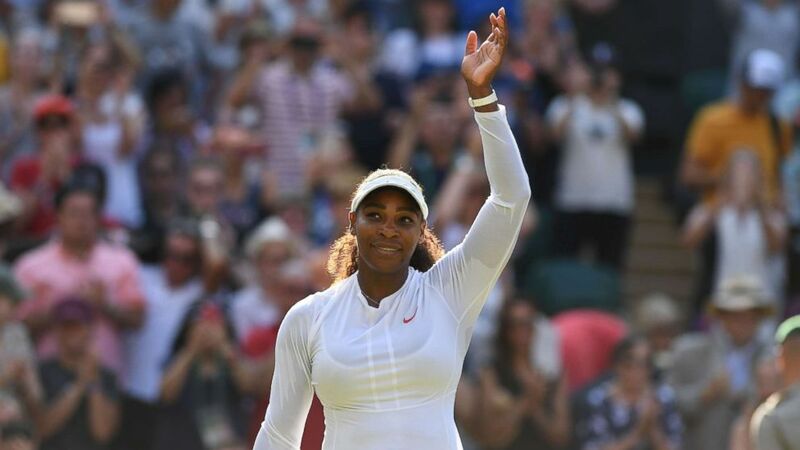 One of the most decorated tennis stars of all time -- with 23 Grand Slam wins under her belt -- Williams has not shied away from the challenges women and new moms face when they return to work. (Glyn Kirk/AFP/Getty Images) Serena Williams serves to France's Kristina Mladenovic in their women's singles third round match on the fifth day of the 2018 Wimbledon Championships, in southwest London, July 6, 2018. During a pre-Wimbledon news conference last week, Williams told reporters that she shed tears when she stopped breast feeding her daughter. "I literally sat Olympia in my arms, I talked to her, we prayed about it," she said. "I told her, 'Look, I'm going to stop. Mommy has to do this.' I cried a little bit, not as much as I thought I was." Perhaps most prominently, Williams became a champion of working moms everywhere when critics say she was snubbed by the French Open, after officials didn't seed her in the tournament she has already won three times when she returned from maternity leave. Without a seeding, players can face highly-ranked opponents in the early rounds of a tournament. (Glyn Kirk/AFP/Getty Images) Serena Williams celebrates after beating France's Kristina Mladenovic 7-5, 7-6 in their women's singles third round match on the fifth day of the 2018 Wimbledon Championships, southwest London, July 6, 2018. 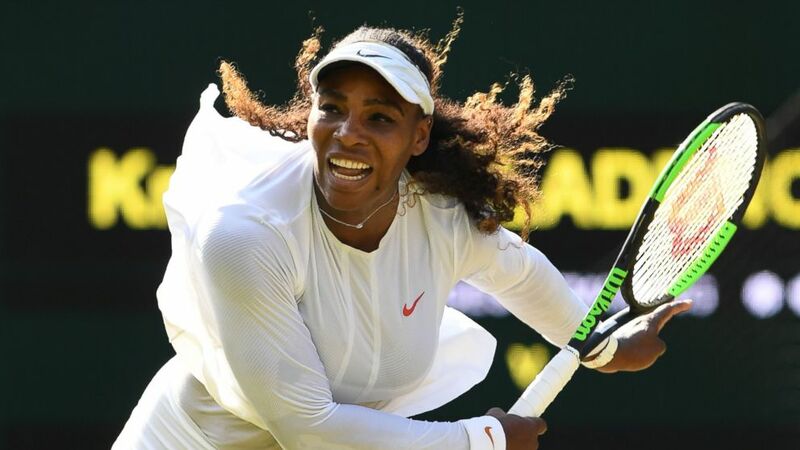 A few weeks later, Williams was seeded 25th at Wimbledon, after the U.K.-based tournament amended its rules for maternity leave as she returned to the court. Ten-month old Olympia was among those who came to cheer Williams on at Wimbledon. In an Instagram post on the account run by her mom and dad, the baby is seen playing in the tennis lawn, with the the hashtag #Wimbledon and the caption, "go Mommy."